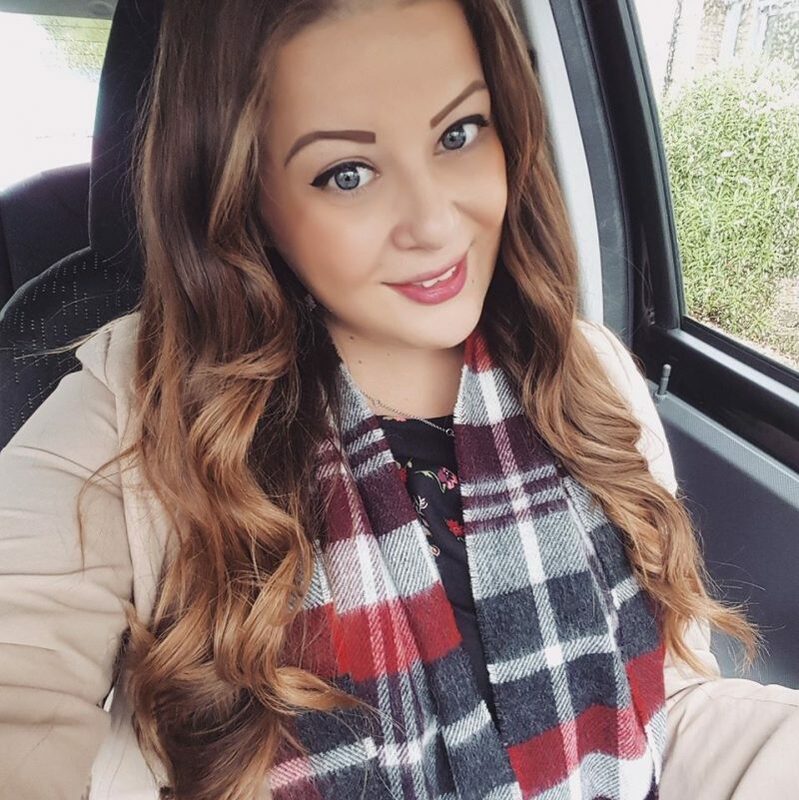 Evening 🙂 I am completely exhausted so here is just a short post for tonight. I feel like I haven’t had a weekend at all because I’ve been working preparing for this cake sale tomorrow eughhh which has just sucked all the life out of me. If I don’t see many cakes I am going to be pissed off. 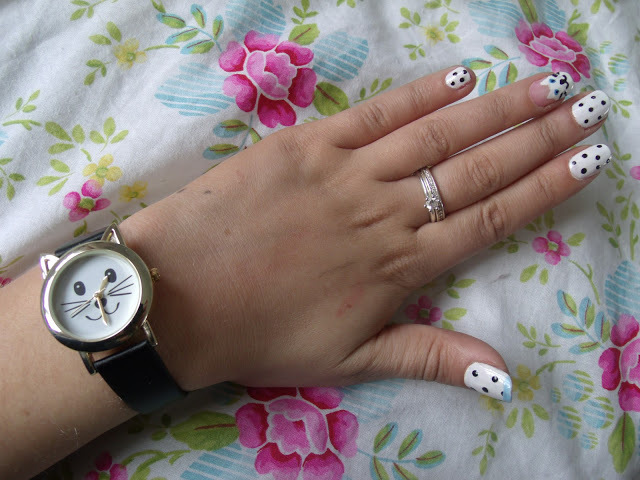 Anyway, I just wanted to show you my kitty nail art and new cat watch! 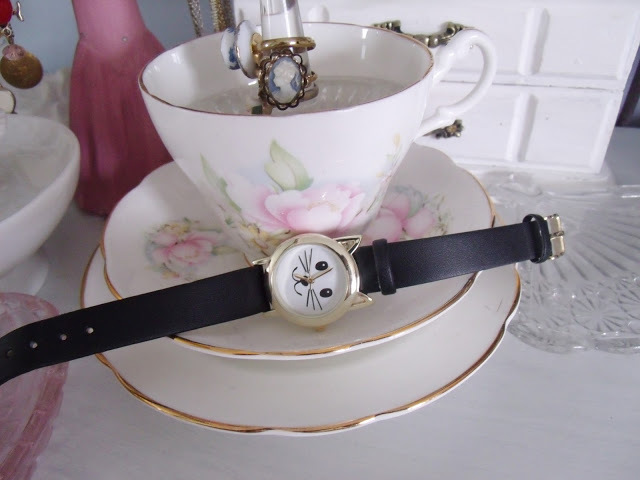 The watch is from New Look. It was £9.99 but was also on Buy One Get One Free so Tereza got one too, and with her student discount we got them for £4.50 each.. yay! I love it. 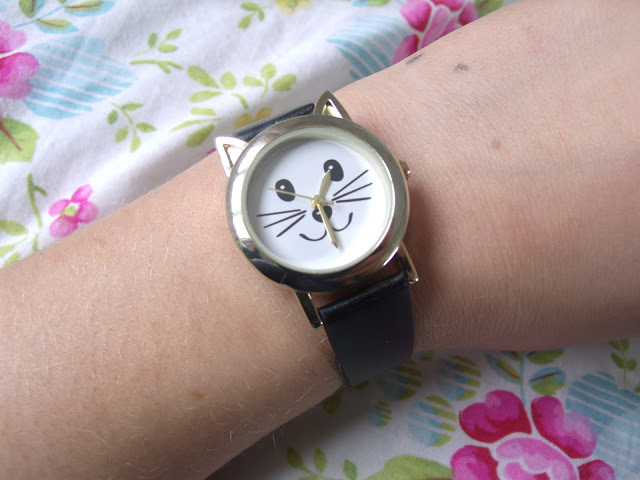 I don’t normally (ever) wear watches, but this one is nice and simple but also super cute. I did my kitty nails just by using some nail art thin brushes off eBay. I’m not very artistic so the face was a bit hard to do, but I think I just about managed it. You can tell it’s a cat right?! Cuteeee. Anyway.. have a great Bank Holiday tomorrow! Love the watch! …Good luck for you cake sale tomorrow! 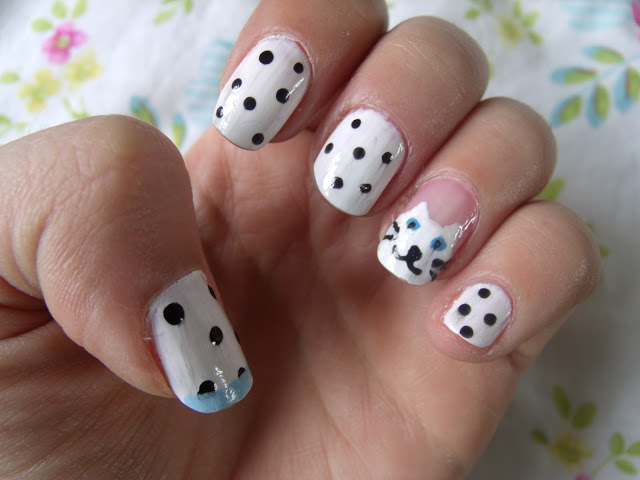 Aww that nail art is so cute! Love the watch too!